During this tour through the city center of Salzburg and its surroundings we are on the steps of Maria van Trapp (Julie Andrews) in the world famous Musical of Rodgers & Hammerstein. Learn about true story of the Trapp family, mentioned in the Sound of Music. During your trip to Salzburg you can combine the love and songs of the movie with the reality of the city. This tour includes the main places used sceneries in the movie located in the city center and the area of Salzburg, as well as the original places of the Trapp family. City of Salzburg, the Villa, The field, Gaisberg Mountain and the unforgettable lake district area! This tour is for every fan of the movie and will give you the most important inside tips. A lot of people know the lyrics of Sound of Music – you are invited to sing and we will have fun together. You will get to know a lot of details known and unknown about the movie and the real life of the Trapp family during this tour. Learn some inside facts of the movie and learn background story for interested people. After meeting in the city center or at your hotel we will take you to the major sights in the city and you have the possibility of dancing on the steps of Maria (Julie Andrews) and the children. We drive you to the real field where Julie Andrews / children sang and you are invited to dance and sing on their steps. After that we will take you to the top of the Gaisberg where you will enjoy a typical Austrian lunch on the top of the mountain. In the afternoon you will enjoy a scenic ride into the lake district area where you will see the unforgettable lake district area, including the lake of Fuschl, the Wolfgang lake and the famous lake Mondsee, where Julie Andrews and Christopher Plummer got married in the movie. Go back in time and get the sense of the real story and their songs! A moment with sense of delight for unforgettable memories! Enjoy the colorful flowers and the awesome architecture of the old Palace of Wolf-Dietrich von Raitenau Mirabell. 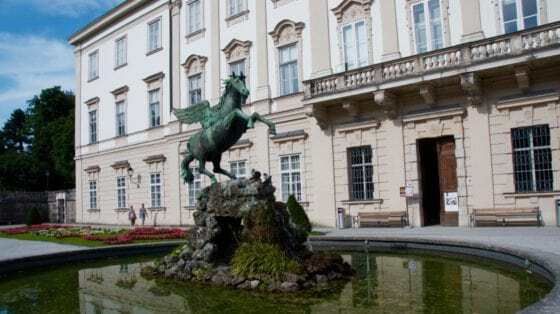 Dance on the steps of Maria (Julie Andrews) and have a look on the famous Pegasus fountain and many other trivias. A lot of important facts – delighting things for your memories to your great trip to Europe – Salzburg! Enjoyment & Culture, Music & great Voices all over the City Salzburg! 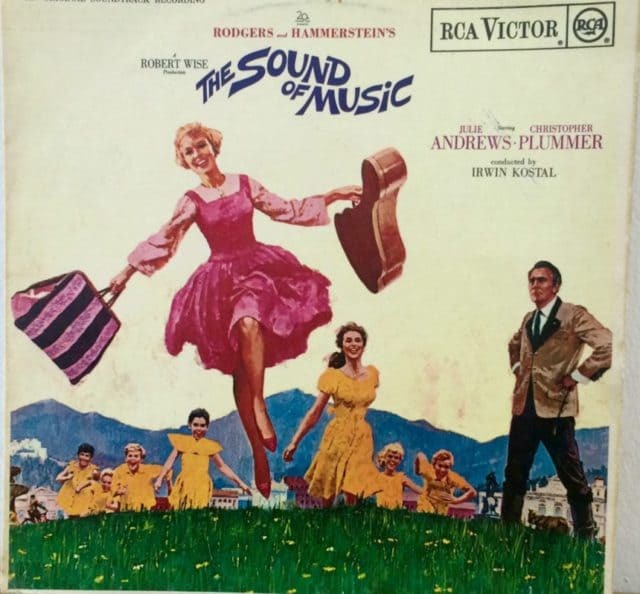 The hills are alive – Following the musical of Rogders & Hammerstein. With this tour we will give you more inside stories and backgrounds. The tour includes a city tour of Salzburg with a comfortable vehicle, including the castle of Leopoldskron and Hellbrunn. We will visit together the field on which Julie Andrews sang „the hills are alive“, have a great overview about the region of Salzburg, drive by the castle of Anif, up to the Gaisberg mountain where we will enjoy a typical Austrian lunch, then continue to drive on to the lake district area, where you will see the lake of Fuschl, lake of Wolfgang (stop with an appelstrudel), lake of Mondsee (wedding church) and then return back to the town of Salzburg.